The gentle curves of the Bristol Bay flow across two contoured bathing wells, a two-person corner model that fits any bathroom decor. Includes two pillows. 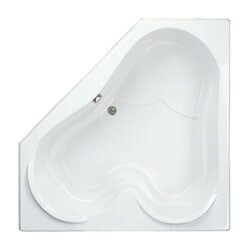 Available as a soaking tub, air tub or whirlpool tub. Call 800-720-1062 for more details.